Dr. Thomashow received his A.B and Ph.D. degrees from UCLA majoring in microbiology and then conducted postdoctoral research as a Damon Runyon-Walter Cancer Fund Research Fellow at the University of Washington. 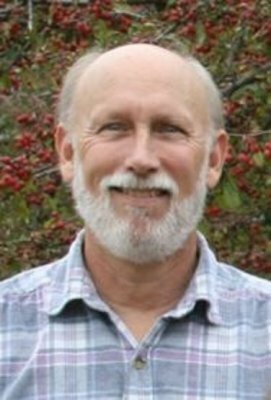 His first faculty position was at Washington State University followed by his moving to MSU where he has been since 1986. Prior to Thomashow moving to MSU, he worked on the plant pathogen Agrobacterium tumefacians, which causes crown gall disease. As a postdoctoral fellow and assistant professor, he and his colleagues discovered that crown gall disease involves the transfer of DNA from the bacterium to the plant where it becomes integrated into the plant nuclear genome and is expressed resulting in the biosynthesis of nutrients that the bacteria use for growth. These studies demonstrated that Agrobacterium is a natural genetic engineer of plants. Subsequent work by others converted Agrobacterium into the primary system to produce GMO crops. Upon arrival at MSU, Thomashow initiated a new line of investigation: determining the molecular basis for plant freezing tolerance. His research led to the discovery of the first freezing tolerance pathway in plants—the CBF Pathway—and the identification of multiple transcription factors that regulate expression of the pathway in response to low temperature, the circadian clock and photoperiod. Current research focuses on determining how plants sense low temperature and activate the CBF and other regulatory pathways that promote cold tolerance and increase immunity against bacterial pathogens. Thomashow’s goal is to further basic understanding of abiotic and biotic stress response pathways providing information that can be used to improve plant resilience. Dr. Thomashow has served as President of the American Society for Plant Biologists, Director of the MSU-DOE Plant Research Laboratory, and Founding Director of the Plant Resilience Institute. University of California - Los Angeles: Ph.D. In the cold, plants generally build up high levels of salicylic acid, or SA, a compound that protects them against bacteria. All living things – humans, animals, plants, microbes – are influenced by circadian rhythms, which are physical, mental and behavioral changes that follow a 24-hour cycle. In the current issue of the Proceedings of the National Academy of Sciences, AgBioResearch scientist Michael Thomashow, along with Michigan State University (MSU) colleagues Malia Dong and Eva Farré, explains that the circadian clock provides key input required for plants to attain maximum freezing tolerance. “The integration of cold-signaling pathways with the circadian clock may have been an important evolutionary event that has contributed to plant adaptation to cold environments,” Thomashow said. 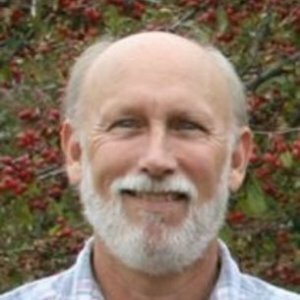 Thomashow, who is also an MSU university distinguished professor of molecular genetics and an elected member of the National Academy of Sciences for his contributions to the field of plant biology, has focused his research on the identification of stress response pathways involved in freezing and drought tolerance. Stresses, including extreme temperatures and water deficit, are major factors that limit the geographical locations where food and potential bioenergy crops can be grown. His research led to the identification of the C-repeat binding factor, or CBF response pathway, a stress pathway that can be found in many plants and plays a major role in freezing and drought tolerance. Reducing abiotic stresses, such as extremes in temperature and drought, can help expand where crops can be grown and increase annual yields, Thomashow said. He succeeds Michael Thomashow, University Distinguished Professor of plant, soil and microbial sciences, and microbiology and molecular genetics. Thomashow has led the lab for the past nine years. Michael Thomashow, a University Distinguished Professor in the Department of Plant, Soil and Microbial Sciences, saw this as an opportunity. He solicited the assistance of fellow MSU plant science experts Gregg Howe, Brad Day and Sheng Yang He to develop a project that addresses the growing world population’s need for more food produced with fewer resources under increasingly difficult conditions. The CBF cold response pathway was discovered by Thomashow’s team, and it has been shown to be active in crop species as they ready themselves for cold weather. It’s widely known that waning daylight triggers trees’ defenses against freezing, but this has never been demonstrated in crops and other annual plants. The study not only shows that such plants use shorter days as a cue for the impending winter, but that the mechanism also is turned off during the warm growing season. “The CBF pathway is actively turned off during the summer to prevent the allocation of precious resources toward unneeded frost protection,” Thomashow said. Exposure of Arabidopsis thaliana plants to low non‐freezing temperatures results in an increase in freezing tolerance that involves action of the C‐repeat binding factor (CBF) regulatory pathway. CBF1, CBF2 and CBF3, which are rapidly induced in response to low temperature, encode closely related AP2/ERF DNA‐binding proteins that recognize the C‐repeat (CRT)/dehydration‐responsive element (DRE) DNA regulatory element present in the promoters of CBF‐regulated genes. The natural range of Arabidopsis thaliana (Arabidopsis) encompasses geographical regions that have greatly differing local climates, including harshness of winter temperatures. A question thus raised is whether differences in freezing tolerance might contribute to local adaptation in Arabidopsis. The C-REPEAT BINDING FACTOR (CBF) cold-response pathway has a prominent role in cold acclimation, the process whereby certain plants increase tolerance to freezing in response to low nonfreezing temperatures. In Arabidopsis, the CBF pathway is characterized by rapid induction of the C-REPEAT BINDING FACTOR 1 (CBF1), CBF2, and CBF3 genes, which encode transcriptional activators, followed by induction of the CBF-targeted genes known as the “CBF regulon.” Expression of the CBF regulon results in an increase in freezing tolerance. Environmental stress leads to dramatic transcriptional reprogramming, which is central to plant survival. Although substantial knowledge has accumulated on how a few plant cis-regulatory elements (CREs) function in stress regulation, many more CREs remain to be discovered. In addition, the plant stress cis-regulatory code, i.e., how CREs work independently and/or in concert to specify stress-responsive transcription, is mostly unknown. Psychrobacter arcticus strain 273-4, which grows at temperatures as low as −10°C, is the first cold-adapted bacterium from a terrestrial environment whose genome was sequenced. Analysis of the 2.65-Mb genome suggested that some of the strategies employed by P. arcticus 273-4 for survival under cold and stress conditions are changes in membrane composition, synthesis of cold shock proteins, and the use of acetate as an energy source.